If you love the feel of Victoria’s classic neighbourhoods, The 1011 Burdett should be on your must-see list of condos for sale. With Cook Street Village, Beacon Hill Park and the Inner Harbour just a few short blocks away, these 32 heritage-styled condominiums and their four brownstone counterparts offer excellent value to the urban dweller who wants to live close to everything. Even the City of Victoria is excited about the project, with Council noting The 1011 as the best project it has seen in the last seven years. Starting at $279,900 for a one-bedroom condo, The 1011 Burdett offers underground parking, and a bike room. Floor plans include one-bedrooms, two-bedrooms and two-bedroom-plus-den layouts ranging from 538 to 1,444 square feet. Interiors promise modern styling, efficient layouts, sound-eliminating design and the highest quality of finishing and workmanship, including fibre-optic technology for faster Internet and wireless capabilities. Engineered hardwood floors, two stately colour schemes, polished quartz slab countertops and under-counter lighting are just some of the high-end touches that add up to a sleek, sophisticated refuge from the outside world. And how about that programmable in-floor heating in the bathrooms? 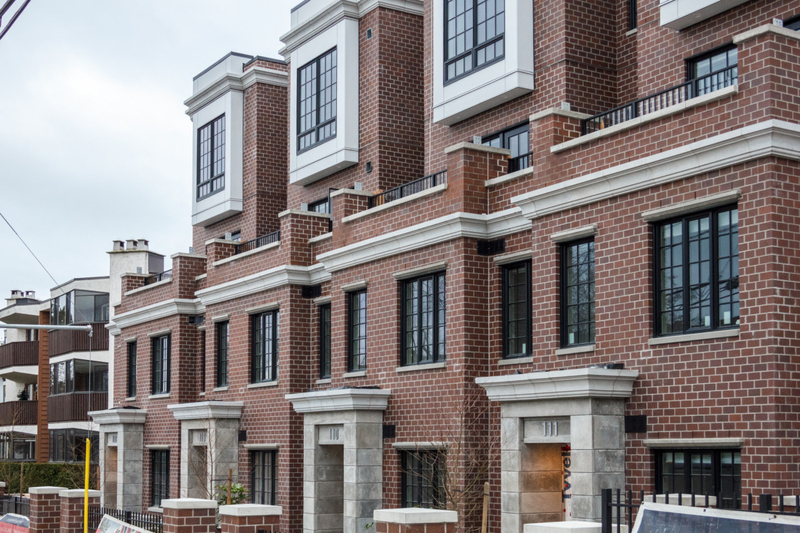 Built with an eye for style, the red brick and exterior finishing for The 1011 Burdett echoes Georgian architecture, seamlessly blending a modern multi-family residence with the surrounding heritage homes. Designed by Victoria’s distinguished Chow Low Hammond Architects Inc. (now Low Hammond Rowe), The 1011 Burdett is Victoria’s only four-star gas project, offering natural gas at four touchpoints in each home: fireplace, stove, heating and balcony barbecue.